From time to time at Strong for Subaru we have special promotions or a competition that we want to tell you about, when we do the information will be available here.. below are a few examples of promotions we are running at the moment. 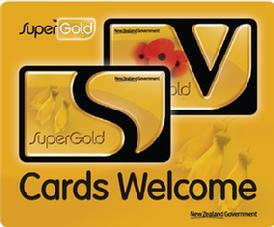 We are an official NZ SuperGold Card Discount provider..
Come on in with your SuperGold card and get at least a 10% discount off your next purchase, if you prefer to buy over the phone, we can still give you the discount and we can arrange delivery of your Subaru parts right to your door! Want more information? just click on the picture on the left..
We are the ONLY used Subaru parts supplier to offer you AA-Smart Fuel discounts in New Zealand. You can now save with every sale over $25.00 ..so shop with Strong For Subaru! If you have an AA-Smart Fuel card you can use it at our counter or even use it when you phone through an order for your Subaru Parts. If you don’t have a card let us know and we’ll give you one for FREE!